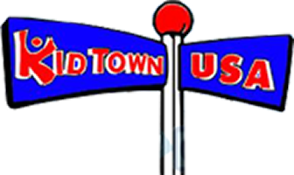 Security is a top priority at Kid Town USA in Clinton Township, Michigan. To ensure our facility is always secure, we've implemented a few measures. From providing restricted access to unauthorized individuals to installing a video surveillance system, these measures help keep our children and staff safe and well-protected at all times. The entrance to Kid Town USA will always be locked to restrict unauthorized entry. You will be given a code to enter. The number will be changed periodically. 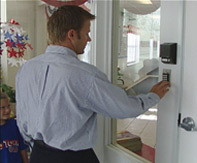 Any person who is not a parent or staff member must use a doorbell. Such visitors will be admitted only after a staff member identifies their business and authorizes entry. Because security and safety is number one at Kid Town USA, you will notice 20 cameras placed throughout our facility. These cameras provide two functions: they record, in 5-second increments, all activities in the center for your review at any time. They also allow the director to monitor activities in each classroom from a central location. You are welcome to request a personal viewing of your child's activities anytime for any reason, whether due to simple curiosity or the need to observe a particular incident regarding your child. All such requests should be made to the director or assistant director. To ensure the privacy of other children, you may review these videos only at Kid Town USA. Videos may not be taken from the premises.